Before we start a new party, lets take a look at last week features. Liz at Infuse with Liz shared with us her gorgeous backyard garden. 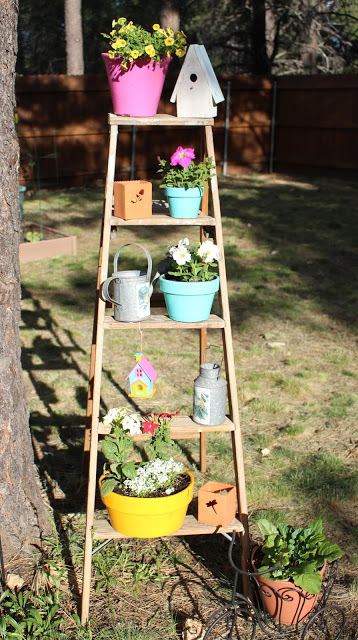 Jennifer at My Flagstaff Home turned an old ladder into a beautiful decorative piece for her yard. 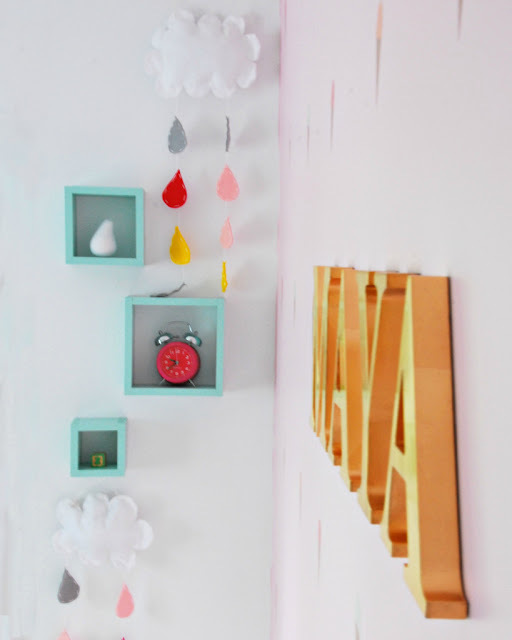 Gemma at The Sweetest Digs created a gorgeous nursery for her baby girl. 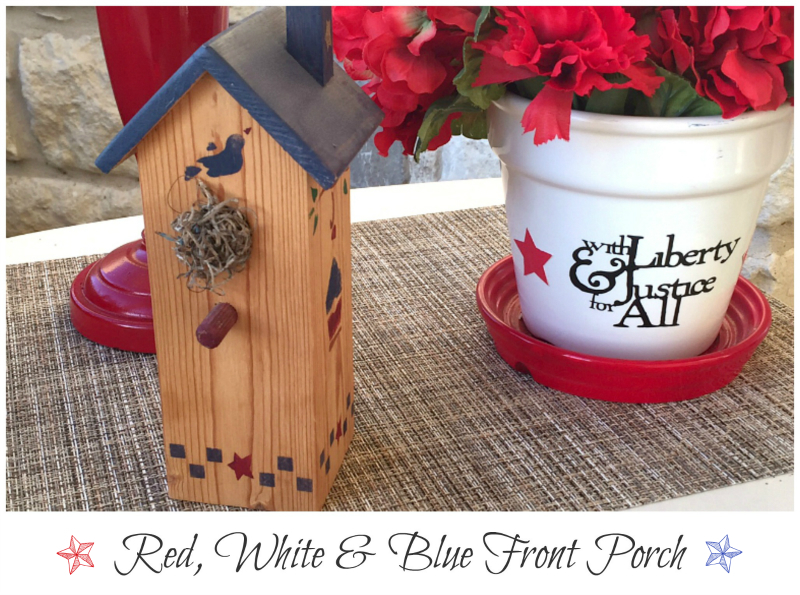 Zuni at Chickadee Home Nest shared her beautiful Patriotic decor. Cat at Pocketful of Posies made some really nice Vintage Insulator Pendant Lights. Nicki at Sweet Parrish Place shared with us the story on how she came to own this gorgeous spool outdoor table. It is hard to believe it is that time of the year again. 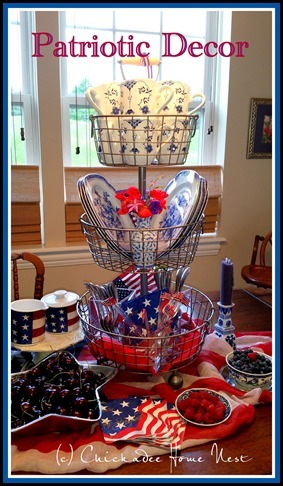 Summer is finally here and the red, white and blue decor, projects and recipes can be found all over blogland. 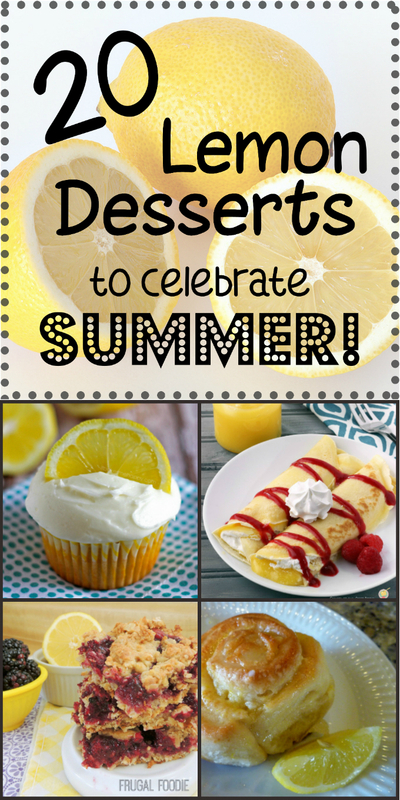 I think after the hard winter we all experienced, everyone is ready for a little celebrating and fun in the sun. 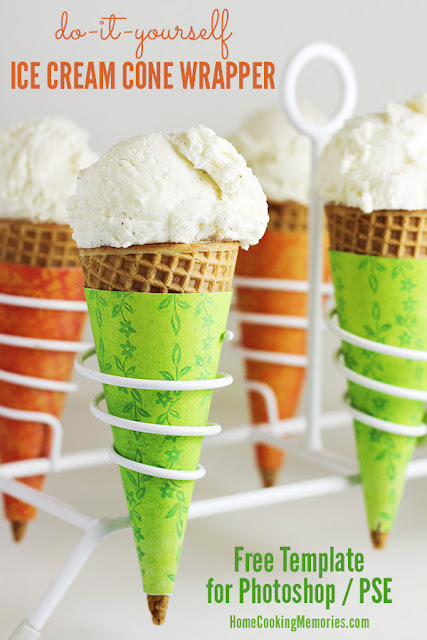 You are all so talented and have such beautiful ideas for projects, recipes and more. 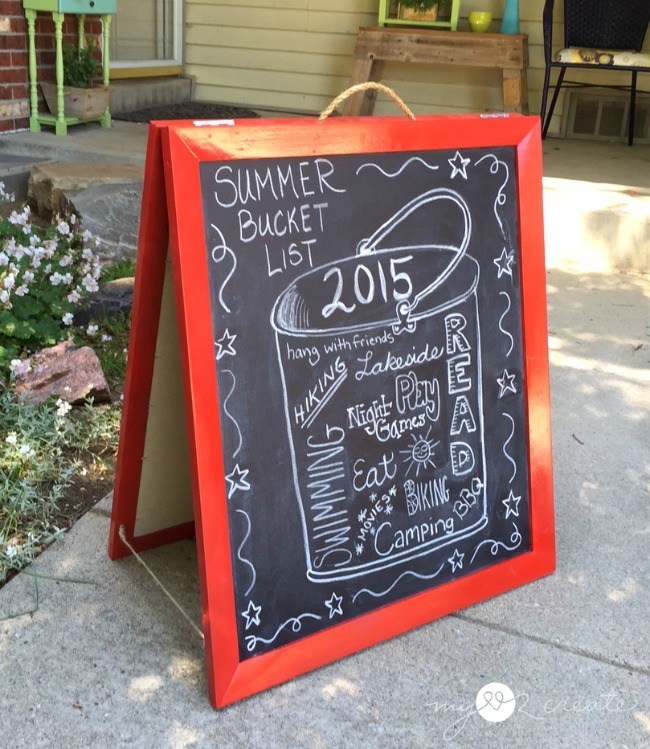 Here are a few great posts from last week link party. Mindi at My Love 2 Create shared a wonderful tutorial on how to make you own chalkboard easel using picture frames. Brooke at Artistic Endeavors 101 made beautiful star fish napkin rings. Carly at Lipgloss and Crayons created an amazing outdoor dining space. 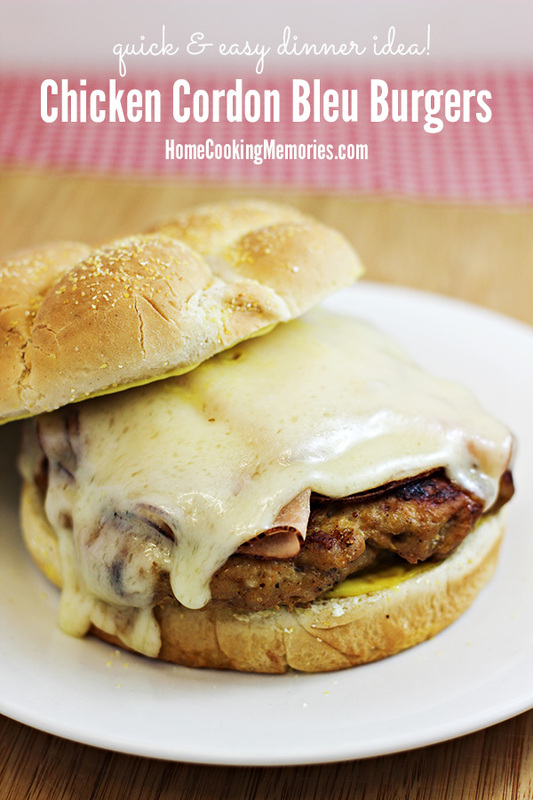 Brandie at Home Cooking Memories shared a very yummy recipe for Chicken Cordon Bleu Burgers. A wonderful collection of Lemon Desserts recipes was shared by Kristin at Dizzy Busy & Hungry. 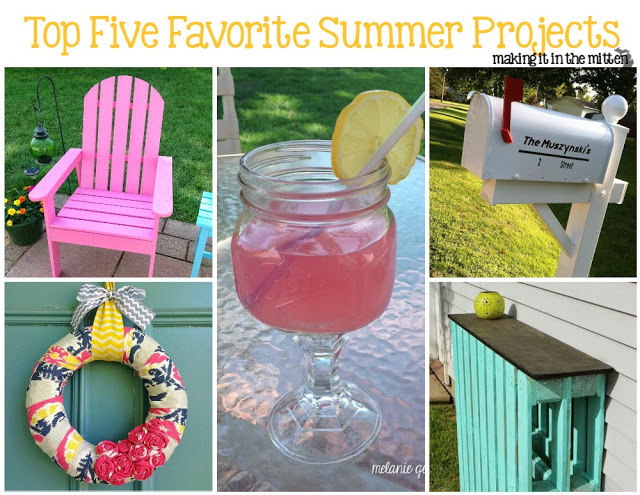 Melanie at Making It In The Mitten has created some gorgeous Summer Outdoor projects. 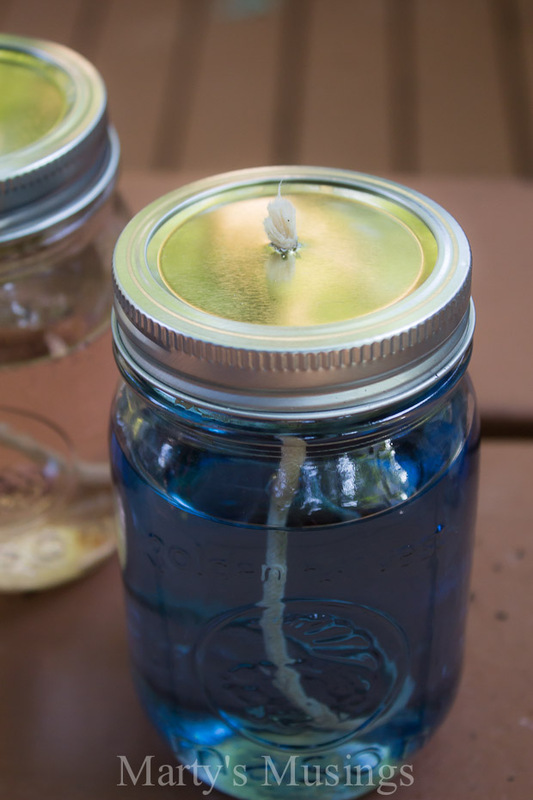 Marty at Marty's Musings shared such a great post on how to make your own Citronella Candles. Michele at The Scrap Shoppe shared a tutorial on how to make a Burlap and Denim Riffled Patriotic Wreath. 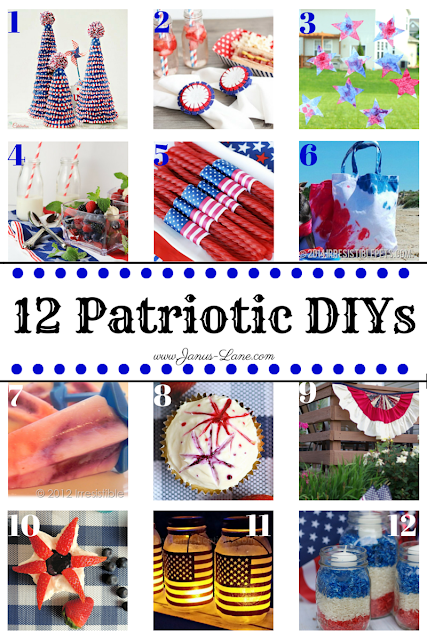 Every year I like to make a different wreath for July, to proudly display the red, white and blues. 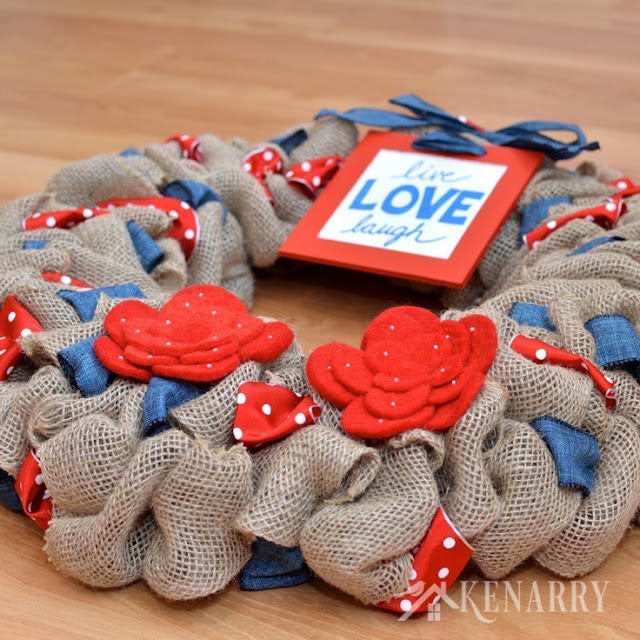 this time around I decided to try my hand at making a ribbon wreath. Last week we had such wonderful party. It seems with Summer around the corner, everyone is working on getting their homes ready for the new season. 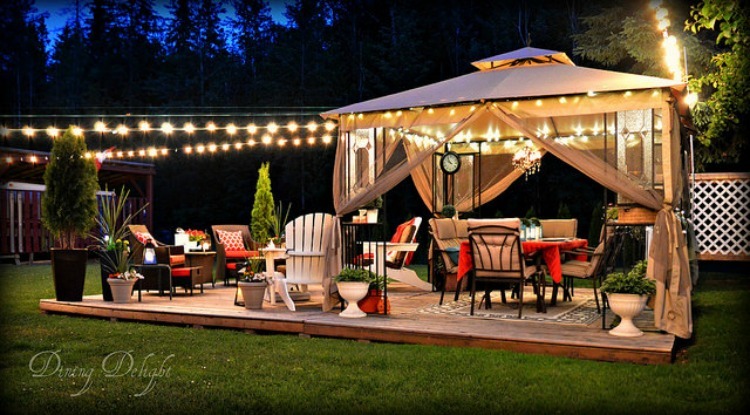 Lori at Dining Delights used her Christmas outdoor lights to add ambiance to her outdoor space. 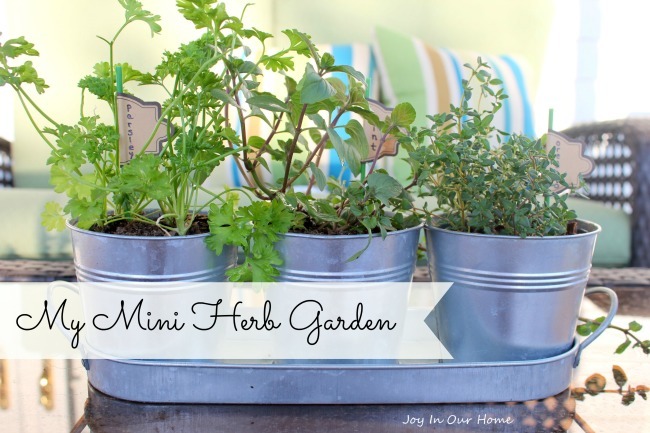 Kendra at Joy in Our Home showed us how she created her own mini herb garden. 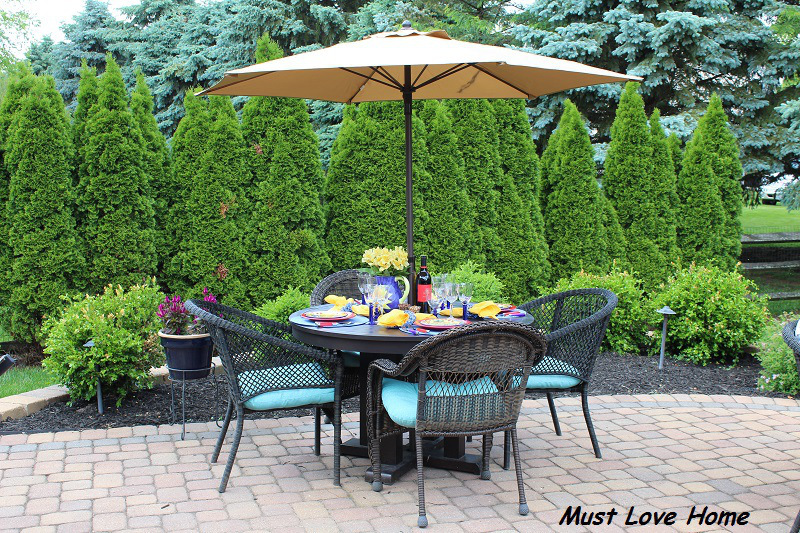 Christine at Must Love Home put together a beautiful outdoor tablescape. 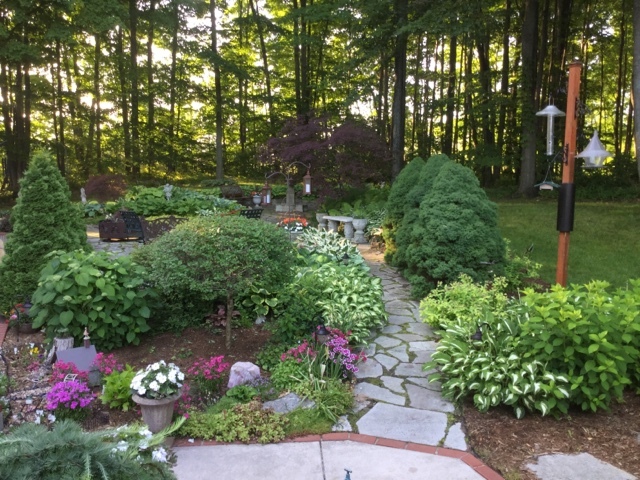 Debbie at Debbie-Dabble shared her gorgeous Cottage Garden. If you need inspiration for your patriotic decor, you have to pay a visit to Stephanie at Janus Lane. 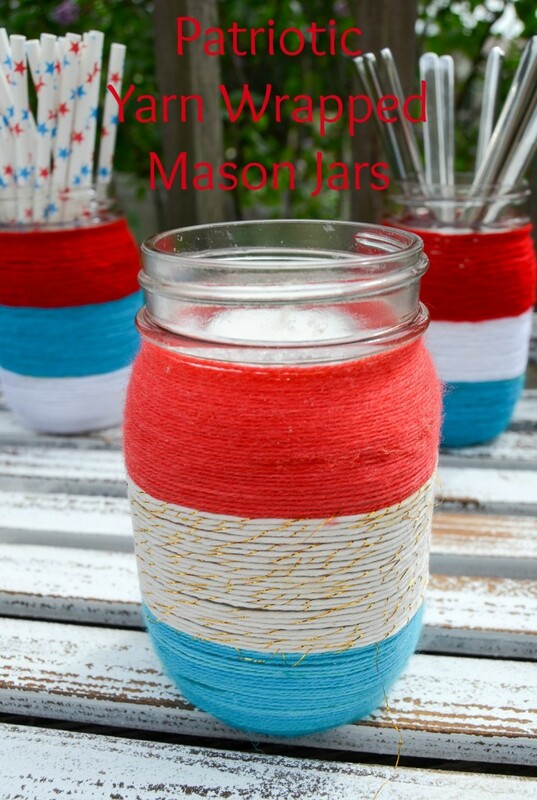 Wonderful roundup of DIY projects! 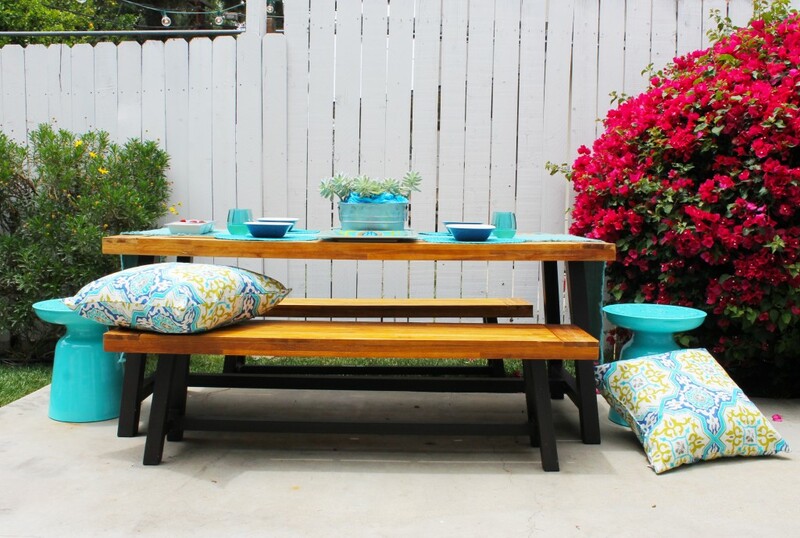 Another wonderful outdoor tablescape was created by Christine at Christine's Home and Travel Adventures. Hope this post finds you all doing well. 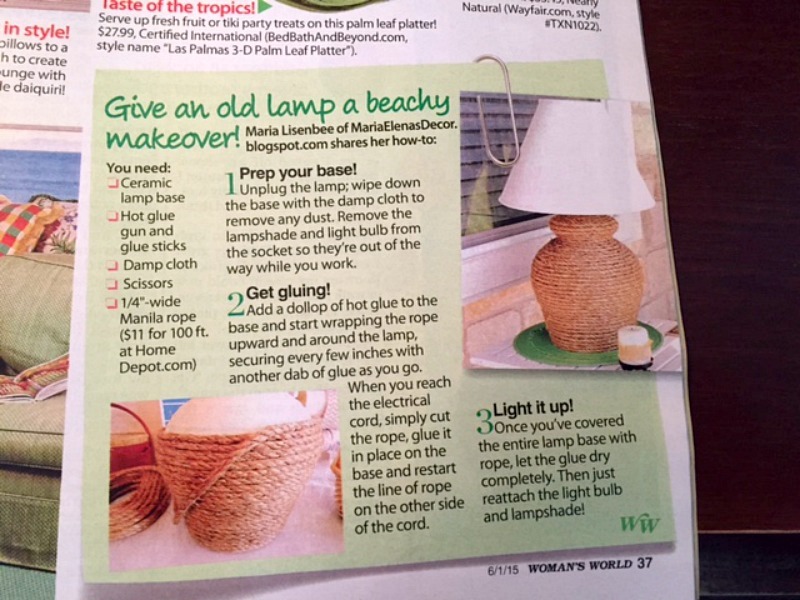 I know you all probably remember a project I did last Summer, DIY Rope Lamp. 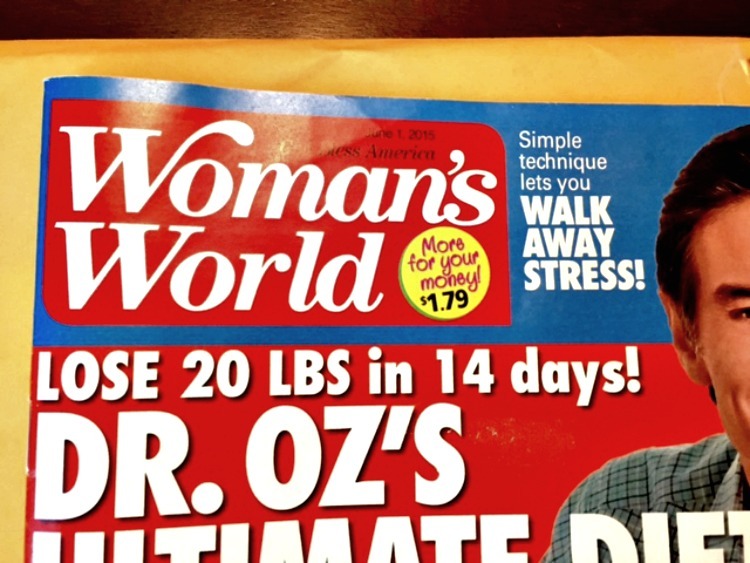 Imagine my excitement when one of the editors from Woman's Magazine contacted me back in March to ask me if I would be interested in having one of my projects published in one of their June issues. What was my answer? YES, YES, YES! I was so honored to be part of their wonderful publication. But, like I said, I am late sharing this with you all. My project was published in their June 1st issue. Well, that is it for today. 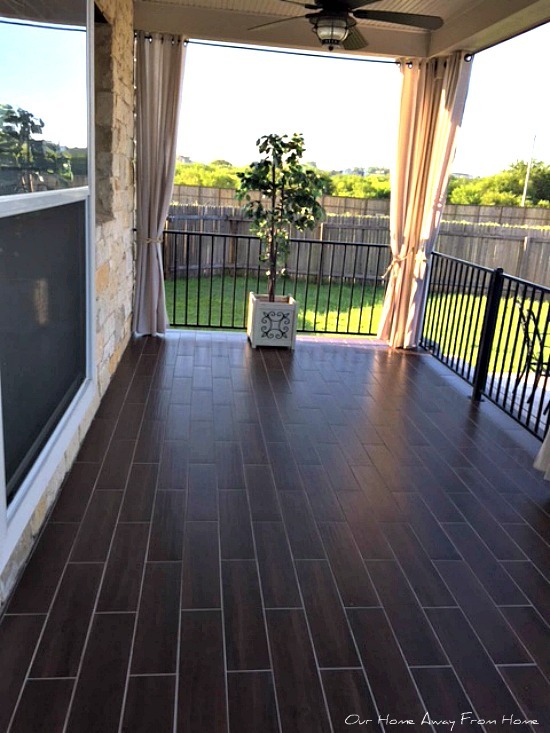 This year we are late getting our back porch cleaned and ready for Summer. 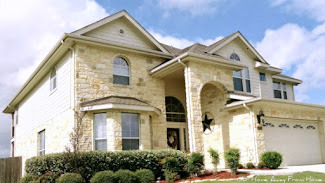 Our son and his family moved into their new home, so we spent Saturday and Sunday helping them get settled in. 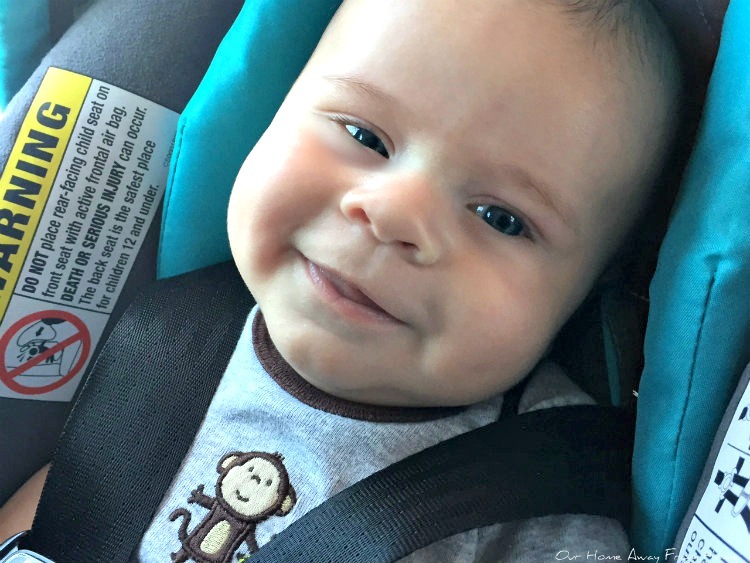 They are living now in Austin, about an hour from us, so I don't have to tell you how much I am missing this little guy. 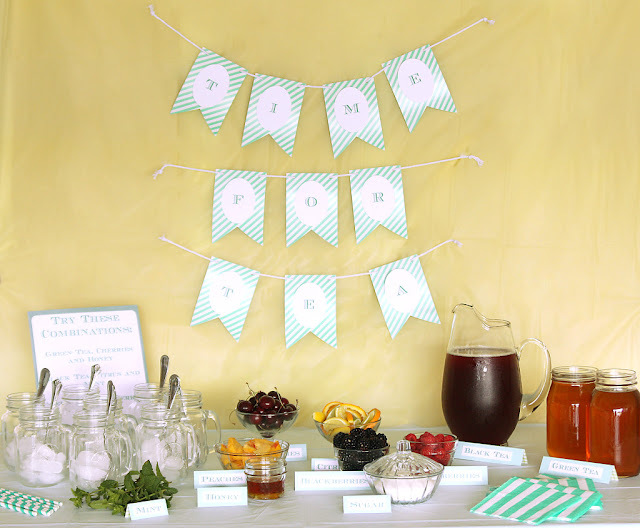 We had such a wonderful party last week. 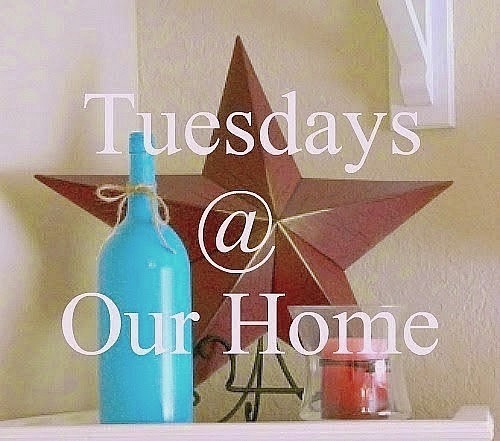 Tuesdays at Our Home is growing so much. Here are a few of the most viewed entries. 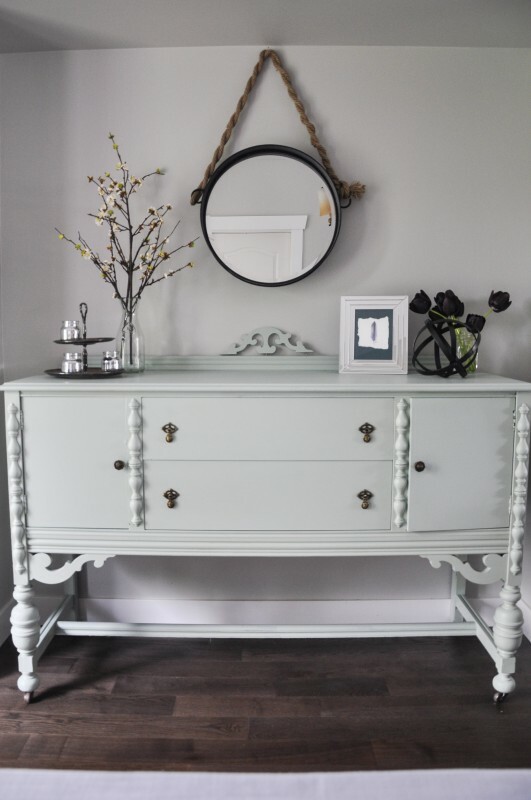 Suzy at Worthing Court shared with us how she turned an old desk into a beautiful dressing table. 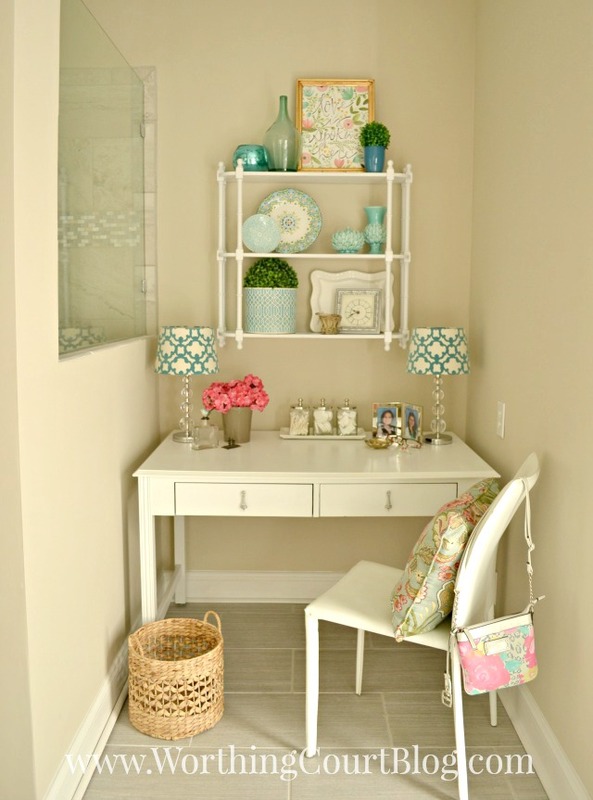 Love the look of her new bathroom! Mama, Mommy, Mom created a wonderful Summer tea bar. Tara at Suburble changed an old furniture piece into a beautiful dinning room buffet. 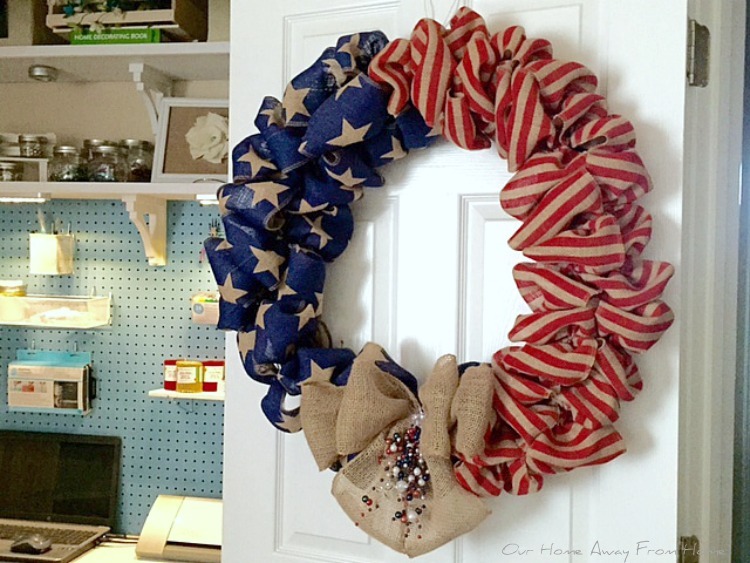 Carrie at Kenarry made a beautiful Patriotic wreath. Jolena at While I Linger shared how she and her husband made a island for their newly remodeled kitchen. 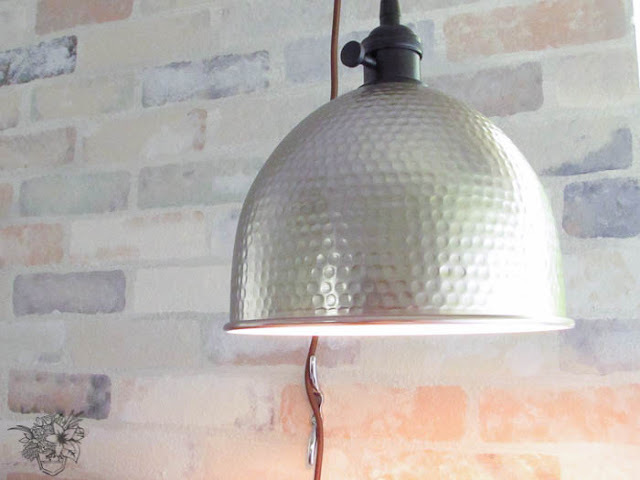 Cielo at The Little White Cottage in the Woods shared with us how she revamped her coffee station. Before the week ends, I would like to share with you a small project I did days ago. I am trying to get our back porch cleaned up and ready for Summer time. More to come on that. 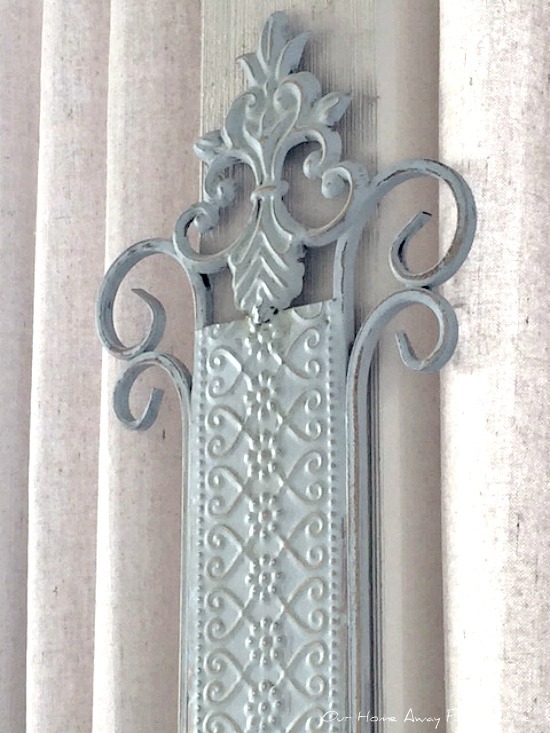 One of the things I did was to update the candle sconces. Last week we had another great party. Here are a few of all the wonderful entries. 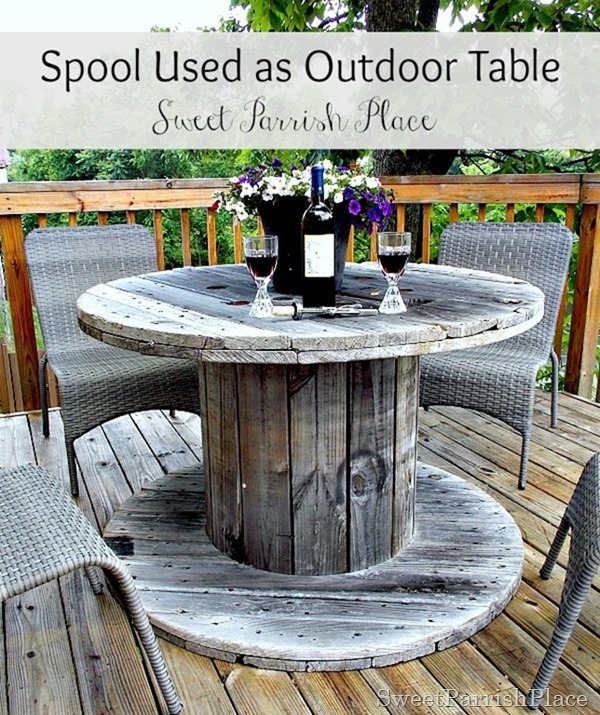 Jody at Southern Seazons created a gorgeous tablescape outdoors. 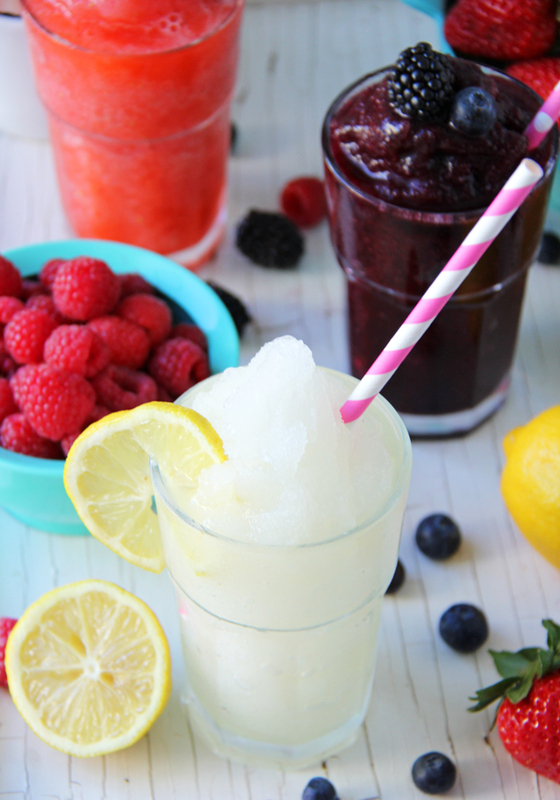 Jo-Anna at A pretty Life showed us how to create your own frozen lemonade bar. 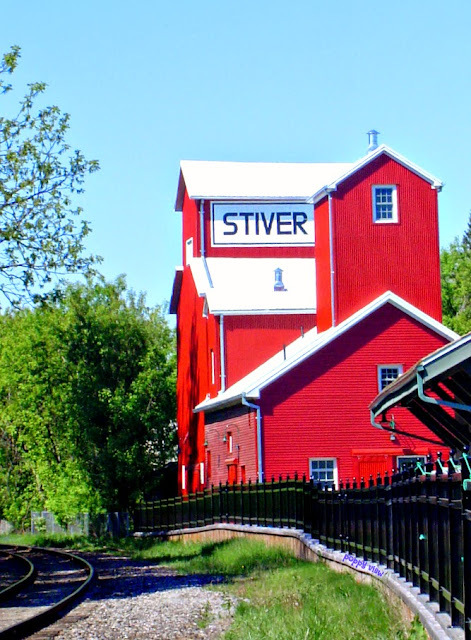 Poppy at Poppy View shared some amazing pictures of her trip to Ontario. 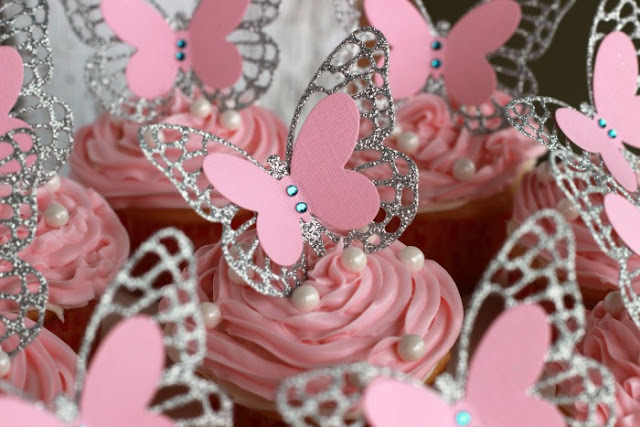 Summer at Summer Scraps made some beautiful butterfly cupcake toppers.